A previous article I wrote entitled, “How My Therapist Destroyed My Marriage”– provoked a few strong responses from fellow mental health professionals. For those that think I am discouraging individual therapy, know this. I do not believe all individual therapy is harmful for a marriage. The problem arises when a third party supplies his or her advice in a way that does more damage than good. I truly wish I would have received more detractors and that my conclusions were way off base. Unfortunately, in the aftermath of the article I have been inundated with emails and phone calls from therapists as well as individuals who have had similar experiences to what was described. I do not believe all individual therapy is harmful for a marriage nor do I believe that it is the primary cause for bad marriages or divorce. Bad marriages lead to divorce and the main culprit is the couple. The problem arises when a trusted professional or other third party—be it therapist, clergy or other person of influence—supplies his or her input in a way that does more damage than good. I am not suggesting that the majority of therapists are guilty of this, but even a significant minority is enough to be alarming. At the crux of this issue is the question of how we conceptualize a couple and how we therapists treat them. Working with a couple requires an entirely different set of lenses than therapists may have been trained to use when working with an individual. In fact, some of my colleagues have told me that they are reluctant to work with couples because they do not have the skill set, despite the fact that they are highly respected veteran therapists. This, to me, provides insight into why I have seen many marriages that were left for dead by other therapists that have subsequently been able to heal. I don’t want to believe that the initial hopeless assessment is a function of incompetent professionals or uncommitted couples. I do believe it’s the framework through which the relationships are addressed that makes the difference. Here’s what makes a good couples therapist different. Ideally, couples should seek out a therapist who embraces a therapy model that emphasizes that the couple is the expert, not the therapist. Instead of advising or prescribing, the therapist focuses on creating enough safety in the session for the couple to do the work themselves. They speak to each other in a structured way of communicating that curbs reactivity and invites connection. The therapist guides the process, deepens the sharing, helps the listener really hear and have compassion for his/her spouse, but does not diagnose or take sides. This dynamic enables the therapist to empower the couple as a unit, as opposed to focusing on “what’s wrong” with either party. When treating individually, it can be difficult for a therapist to remain neutral, either because of his own countertransference (emotional triggers) or because one client may appear as the “identified patient.” When treated together, while either of these things may happen, it’s less likely: The therapist can successfully hold space for the couple as a whole by conceptualizing the situation differently. The therapist focuses on the deeper issue: the disconnect that the couple is experiencing. By going to the root of the matter, the relationship is strengthened and becomes safe enough that both parties can effectively tackle the issues. Without safe connection, it is possible to “problem solve” but practically get nowhere. We are born into connection. As babies in our mothers’ wombs we experience the most intimate form of connection. As we come into this world and begin to individuate, we begin to search for that connection in other relationships. The ultimate way to retrieve that original sense of connection is through marriage. While there are exceptions to every rule, most of us got married because we felt some connection to our spouse. It is this initial connection that gives us hope that even when experiencing difficulties in a relationship, it is possible to heal. In our disposable society, many of us seem to think that if something is not working, it is not worth fixing. Even if it is worth fixing, we convince ourselves that it is not fixable. 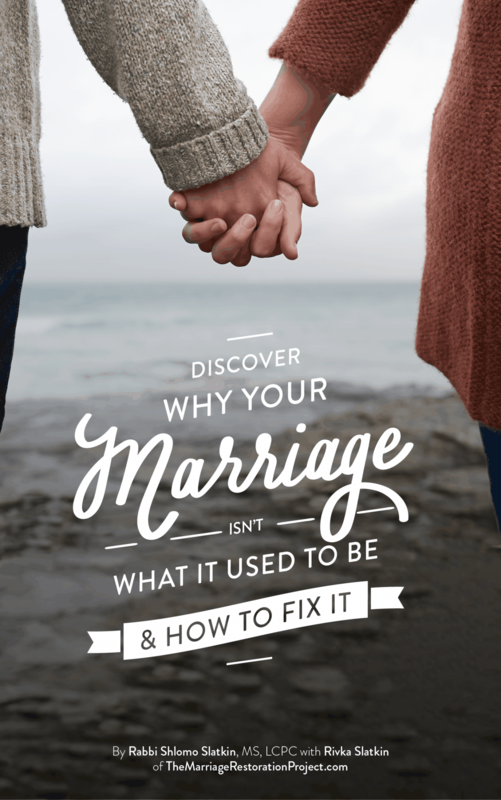 But many, if not most marriages, can be fixed. Marriage requires hard work. It triggers us in ways that no other relationship does. But the growth and healing that come from marriage is more profound than you can experience in any other human relationship. While this article is not the place for an in-depth study of this approach, (for that I encourage readers to look at Getting the Love You Want by Dr. Harville Hendrix), we do see that the issues couples trigger in each other are usually the areas where the other could benefit to grow. The following is an example of “How my Therapist Destroyed my Marriage”. I could provide hundreds of similar scenarios. 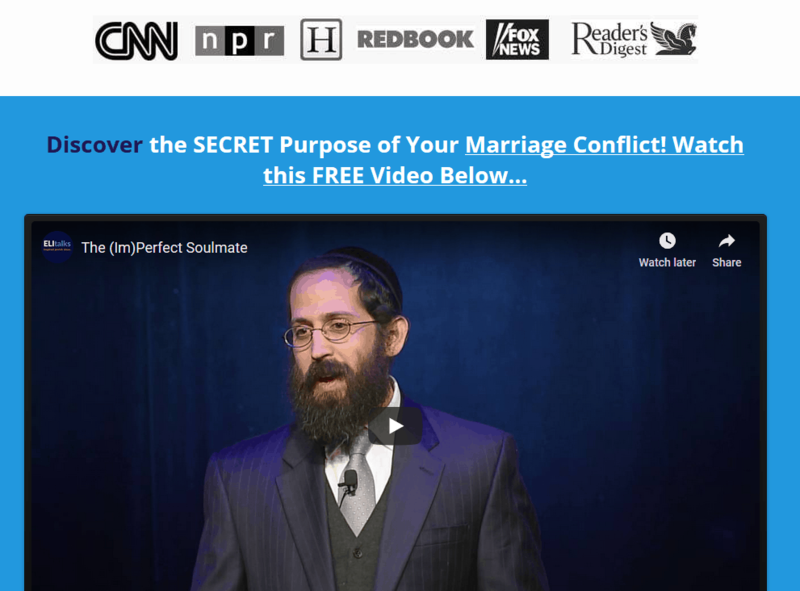 A husband and wife are experiencing conflict where they routinely trigger each other. When the husband becomes angry, the wife does what she knows best to protect herself: she hides. See, her mother was an alcoholic and physically and verbally abusive. As a little girl she learned to emotionally check out and avoid contact as it was unsafe. When she “checks out,” that triggers her husband who had the opposite story. As a little boy, his parents were negligent. If he wanted to get his needs met, he learned that he needed to make a lot of noise, to fight and to nudge. This was how he survived. As an adult, when the wife checks out emotionally, the husband becomes even more aggressive, making her feel more unsafe and leading her to pull away even more. They both trigger each other and get in a vicious cycle where no one gets his or her needs met and they both feel hurt. Who is to blame? Does the husband have an anger problem? Is the wife suffering from an avoidant personality? Going that diagnostic route would avoid the deeper issue at hand—their childhood experiences that emerge in their particular dynamic. If the therapist were to tell him to go to anger management classes, the wife would feel vindicated that it really was his fault. If she was diagnosed with a personality disorder, the husband would feel that he was justified in his reactions. It would circumnavigate the real problem, and may fail to encourage the ultimate change that will bring about greater connection rather than resentment. When the couple was able to talk about the situation in a safe and connected manner, they were able to understand how they both triggered each other and were able to approach the situation from a more neutral perspective. By understanding his wife’s troubled past, the husband was able to make sense of why she wanted to check out when she felt unsafe. Instead of allowing that to trigger him and fight back, he realized that it would be better to share his feelings in a calm manner. Conversely, she was able to realize that when he was nudging her and being outspoken, he was not her mother, but her loving husband. Instead of disengaging, she was able to make herself feel safe enough to entertain the notion that her marriage was not her childhood. This story is typical of the discoveries couples make when they are safe enough to get conscious about their situation and see the greater unconscious agenda of their relationship. This is the beauty of what comes out of proper marriage therapy- and we see it all the time with our couples. The conflict they are experiencing is not proof that the relationship is doomed; rather it is an opportunity for growth and healing. Dr. Carl Rogers’s landmark work demonstrated that the therapeutic alliance between therapist and client is an even more important healing factor in therapy than the actual techniques employed by the therapist. The therapist provides unconditional positive self-regard and empathy. For couples in crisis who are willing to work as a couple together, would it not be preferable for their shared relationship to be the healing factor instead of developing that healing alliance with someone outside of the marriage? We are wounded in relationship and are ultimately healed in relationship. While we can talk about the issues out of context with a third party, couples work allows the couple to heal in real time in the session. It doesn’t create a divide between “problems” and “solution.” It’s all part of one positive process. Of course, there are many cases where one partner is not interested in counseling. Does that mean the other should not seek help? Of course not. Individual therapy may be helpful in assisting one spouse to learn more about him or herself and what he or she brings to the relationship. It is when the therapist, even with the best intentions, advises, speaks poorly about the spouse, or even insinuates the slightest doubt about the relationship, that it can be contraindicated. You may say that this is simply not good therapy. I would agree, but my experience and that of my colleagues has been that it is too prevalent to simply categorize as bad therapy and give the general advice to seek out good therapy. It seemed incumbent to make people aware of the specific issues that can arise in individual therapy. While ultimately it is the client who decides to get divorced, many people are looking for third-party validation to give up working on their marriage. This is especially the case with a professional whose opinion we respect. If someone is in pain and his or her therapist evens hints to a solution involving divorce, it can be tempting to think that by removing the external stressor—that is, the spouse—things will improve. This is especially true as one may feel a connection to his or her therapist, as the therapist is there to support him or her, often in stark contrast to the lacking connection he or she shares with his or her spouse. Of course, every person is responsible for his or her own marriage and the choices they make. But to ignore the fragile reality of someone in a troubled marriage under that pretext of personal responsibility is naïve. As mentioned, that’s not to say we avoid individual therapy at all costs. But it’s critical to recognize that it can be a dangerous situation. If your individual therapy is helping your marriage, great! If you are experiencing more tension with your spouse after your sessions, then it may be worth considering the impact it is having on you. If you begin to focus more on your role in the relationship and what you can do to improve the situation, it can be beneficial. Many individuals have been successfully able to work on themselves and consequently bring about greater change in their marriage. I hope that people will use their best judgment to discern when individual therapy is the best modality to heal their relationship. This is a very serious issue and while I apologize if I have offended my fellow therapists who I am sure are skilled and would not do what I discussed in the article, my pain and concern for the families that are suffering needlessly was my primary motivator. Please do not continue to be a victim of a therapist destroying your marriage. 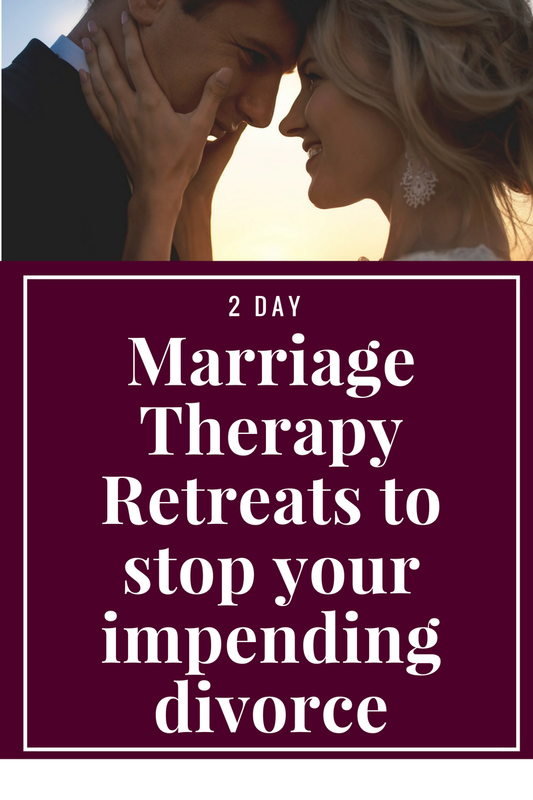 Talk with us about our 2 Day Marriage Restoration Retreat so that you can avoid months of therapy that doesn’t work or makes things worse.